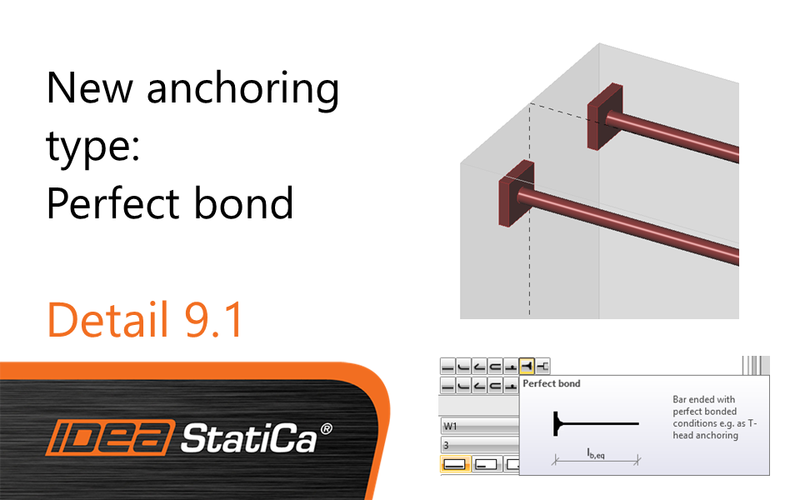 New anchoring type of the reinforcement brings a possibility to cut off the reinforcement with the cover and ensure the perfect bond between both materials. Due to this fact, a lower anchoring length is realized which secures the transferring of the anchoring force at the beginning and at the end of the rebar. Interested in other new features of Detail 9.1? Sign up for the release webinar!